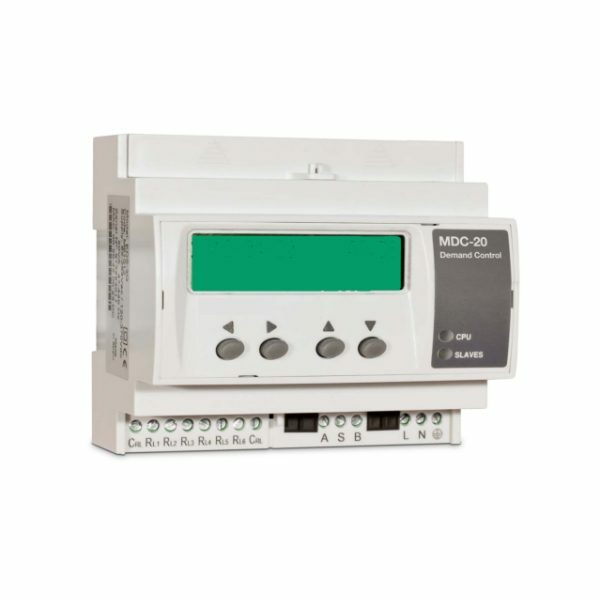 The MDC-20 is a unit designed to control the maximum demand of an installation. 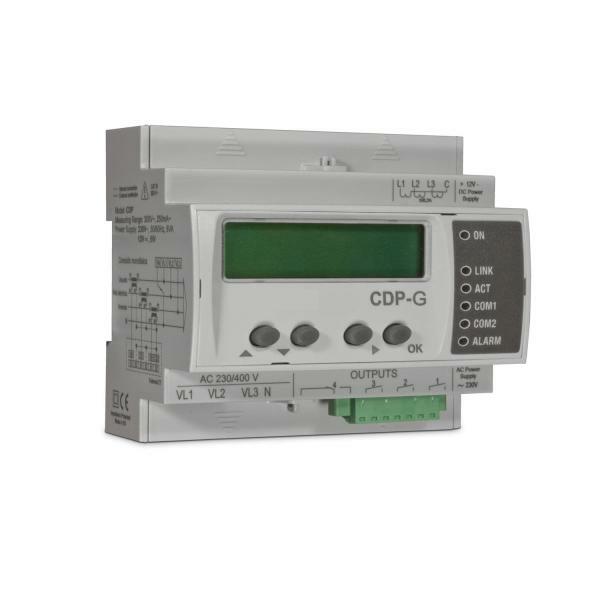 It means that the unit connects and disconnects the installation’s electrical loads (non-priority loads) to ensure that the maximum power contracted is not exceeded. Management of the loads is done in accordance with the power rating of the loads, the maximum configured power, and the current energy measured. 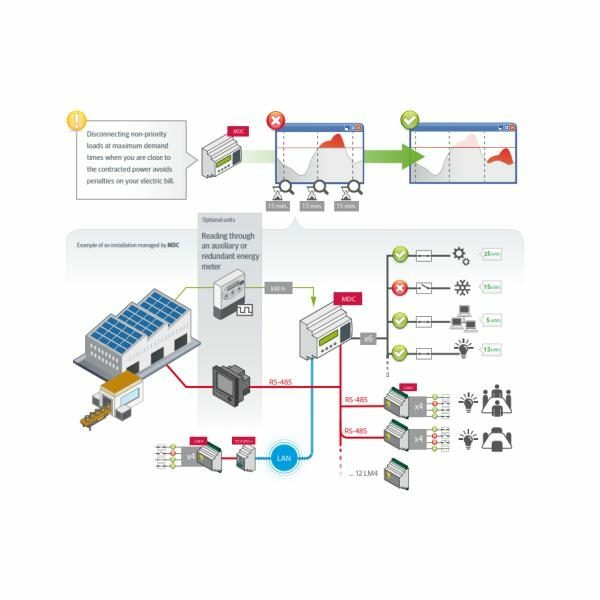 This system optimises the consumption of energy in the installation because it allows the maximum number of loads to be used simultaneously but does not exceed the contracted power, which would result in high penalties. System compatible with any XML communication master. Archive of over one year with a log of up to 4,500 electrical variables, averaged every 15 minutes, maximum and minimum values over the period (Period can be modified. Ring buffer). 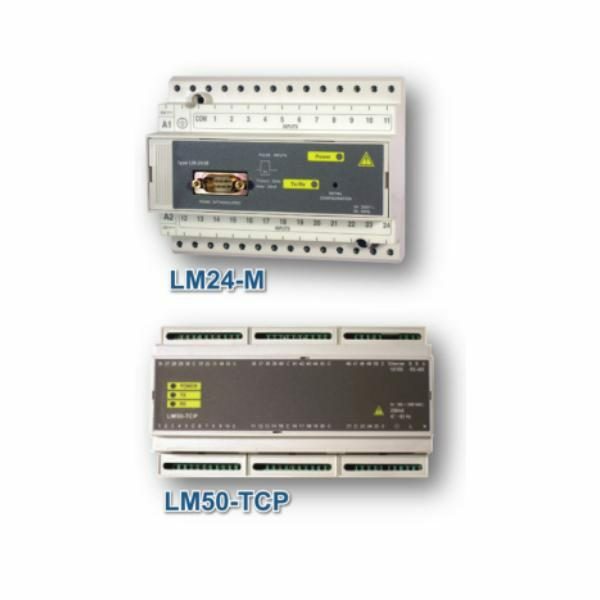 RS-485 BUS for connecting up to 12 LM4 i/o. Internet connection systems with dynamic IPs that avoid the need for static IPs in the MDC-20 units. Generate and record your own variables using the data obtained from the units. (EnPi,%,Kg,CO2, Euros, etc.). 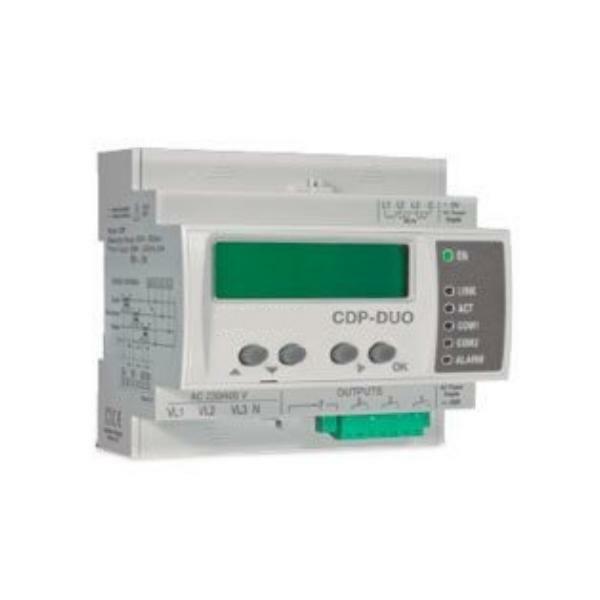 Programming to send e-mails to distribution lists with personalized messages, including the information of any variable from the metering units. 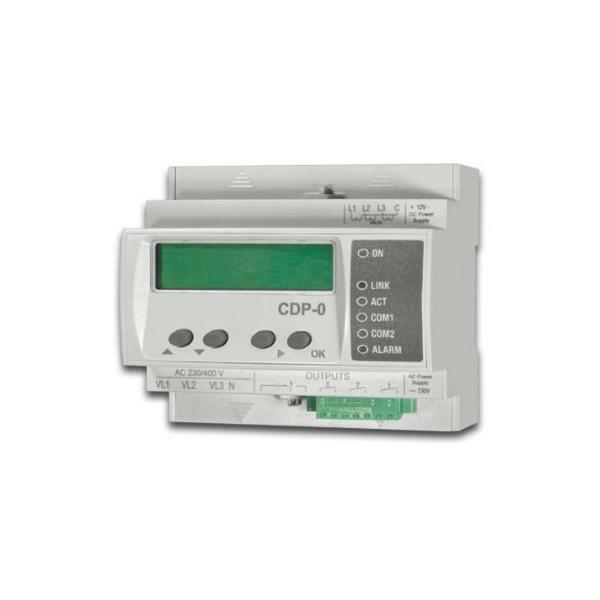 The device can display any calculus or variable of any configured unit. The Ethernet network can be configured through the device’s keyboard (without the need a computer). 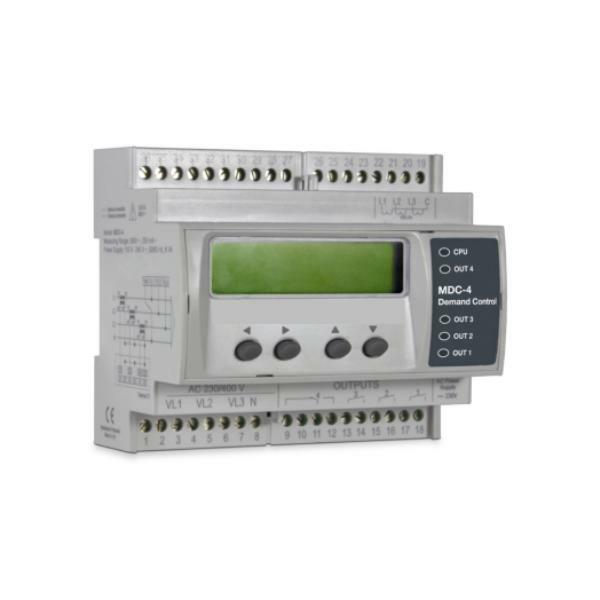 8 digital inputs for logical states, or counting impulse signals (electric energy meters, water meters, gas meters, etc.) or load status feedback (inputs/outputs). 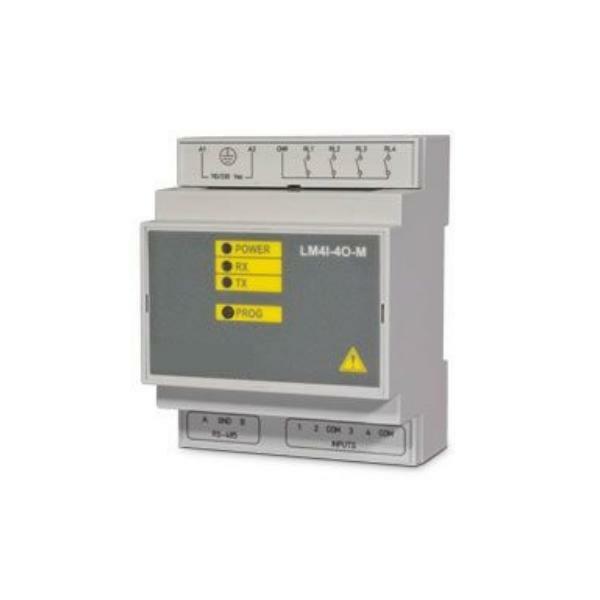 Expandable via auxiliary LM range units. 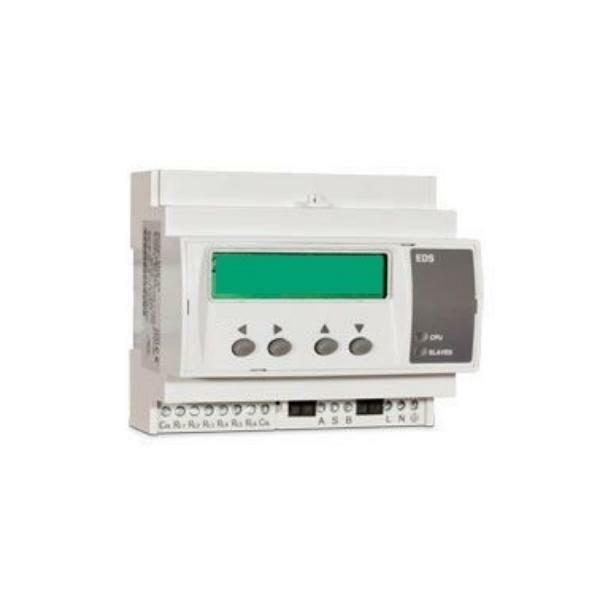 6 relay outputs controllable via alarm configurations, maximum demand time controls. 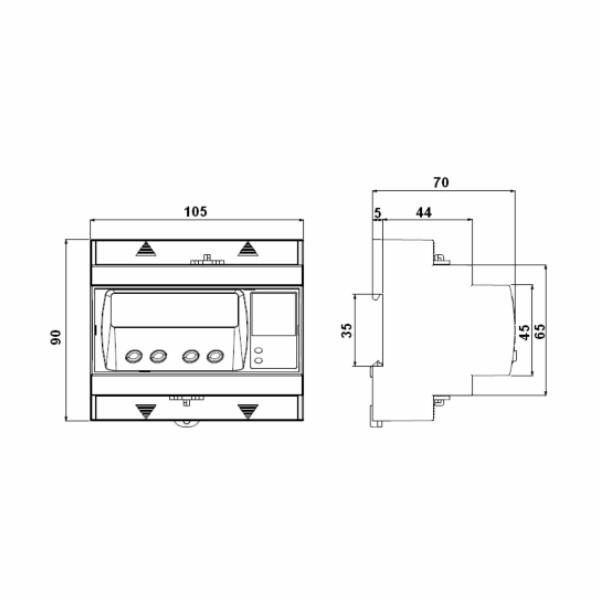 Expandable via auxiliary LM range units. 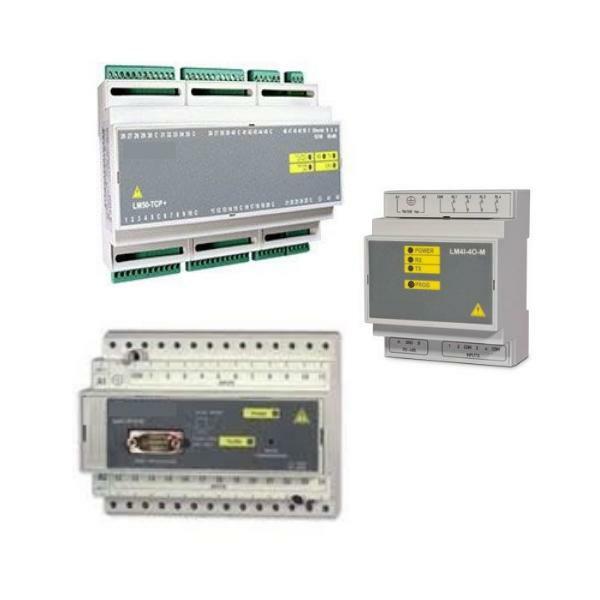 Programming of alarms by any parameter to control the relays of the unit itself or of other auxiliary LM range units.